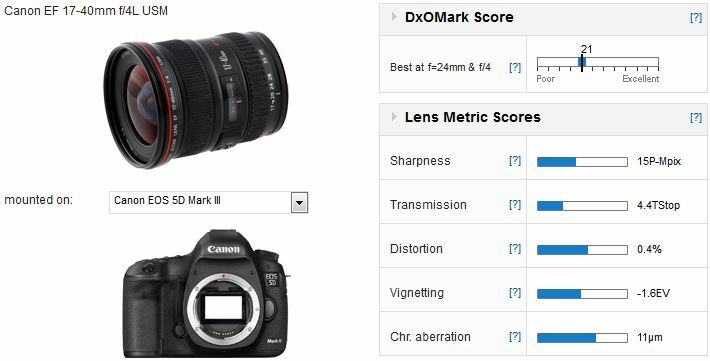 The Canon EF 17-40mm f/4L USM achieves a high ranking for an ultra-wide angle lens with DxOMark score of 21 points. Peak sharpness at 15P-Mpix is perhaps a little behind the latest designs but it’s still very good. Like so many zooms, it’s better at the wider end where it has good uniformity, even wide-open. 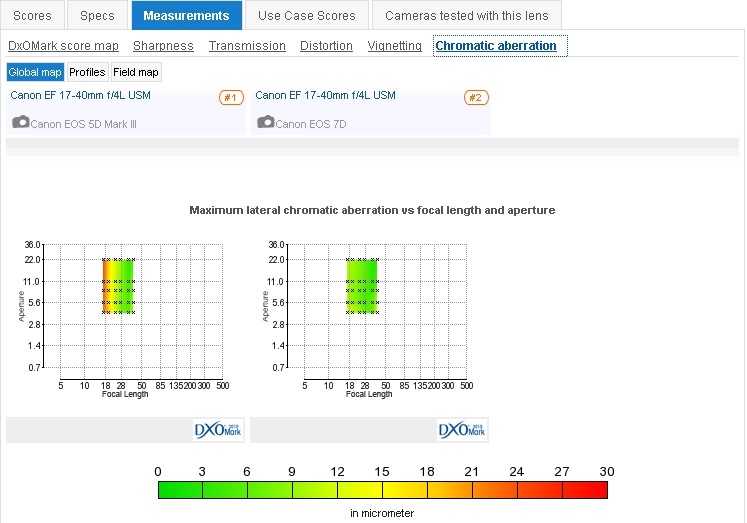 At 35mm and above, sharpness drops somewhat at the maximum aperture, particularly in the outer field but that improves steadily when stopped down, with peak performance at f/8-11. Chromatic aberration is well reasonably controlled, particularly from 24-40mm but it’s evident in the extreme corners at 17mm. However on an APS-C camera with its smaller sensor CA isn’t an issue, and that’s pretty much the same for vignetting. Chromatic aberration can be an issue at 17mm on full-frame cameras, but the issue isn’t as acute on APS-C. 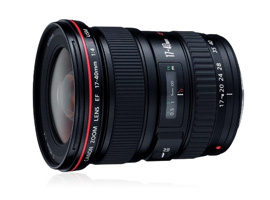 When compared against the $1,699 Canon EF 16-35mm f/2.8L II USM, the smaller, lighter f/4 model holds its own. In fact the two perform at a similar level. 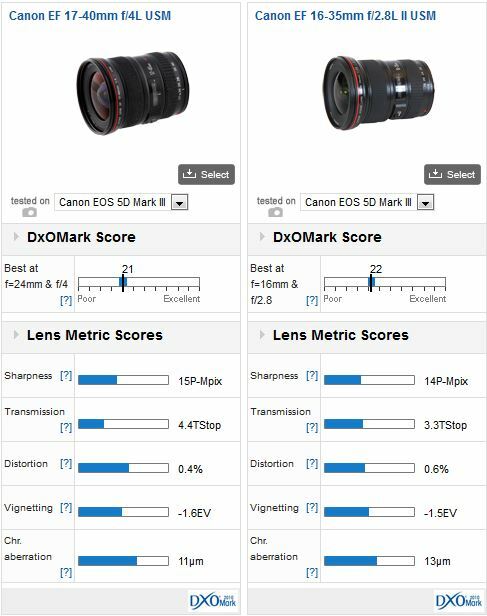 The faster lens is a better performer at 35mm but the 17-40mm has more uniform sharpness across the field and marginally higher peak sharpness (albeit at different settings between them, and a difference of 1P-Mpix is trivial in real world terms). The 16-35mm f/2.8L even has slightly higher levels of lateral chromatic aberration covering a larger area at its widest focal length, though levels are very low by 20mm. That’s quite an achievement although it’s worth remembering that the 16-35mm lens is both slightly wider and a stop faster (or just less when comparing Transmission). Due to its more glamorous sibling this modest lens is often overlooked though it’s well known for its high-performance by Canon users. As a small, light, highly portable zoom it would make a great choice for travel, landscapes and general-purpose photography. Although not exactly cheap at $839, if portability is a concern it’s a great alternative to the faster model.